Santa's hair and long beard are white as snow. But as a boy, his hair was probably a different color. Just like boys the world over, his head would have been topped with shades of brown, red, or yellow. Hair color originates inside the skin on the head, where hairs are attached. Pull on a hair firmly and slowly until it comes out, and you'll notice a small white tube clinging to the end of it. This tube is a clump of cells that fit inside a narrow hole in your scalp, a hair follicle. Hair grows in hair follicles, and the cells that line hair follicles supply the growing hair with color. A hair grows as cells are added to its bottom. These cells contain a strong protein called keratin, which gives hair its structure. Fingernails are made of keratin too. As more and more cells rich in keratin are added to the bottom of the hair, the older cells are pushed higher in the follicle tube, towards the surface of the scalp. By the time a hair cell has been pushed through the entire follicle tube to the surface of the head, it is dead. Hair is not alive, which is why it does not hurt to cut it! The more cells that are added, the longer the hair grows. In case you are wondering…Hair grows about 1 cm every month. 50 to 100 hairs fall out of a person’s head. New ones start to grow in their place. Hair color of all shades are the result of the presence of one chemical, melanin, which is transferred to hair cells inside the follicle. Melanin is also found in skin. Dark skin has more melanin than pale skin. When people get a tan, their skin cells are producing extra melanin. Similarly, the darker the hair, the more melanin its cells contain. Black hair has the most melanin, red hair has less melanin, and blond hair has less still. Gray hair has even less melanin, and pure white hair, like Santa’s, has none. As people get older, especially when they have lived for fifty years or more, the color cells start to disappear, and there is less melanin to transfer to the growing hairs. We are not sure why these cells disappear. For some people it happens slowly over many years. For other people it happens quickly. Hairs still keep growing, they just don’t have much color in them any more. Santa's white hair tells us a lot about him. It is a sure sign that Santa is probably well over 50. (It is unusual, but occasionally a young person has no melanin in their hair.) As well as being white, Santa’s hair is thick and shiny. This tells us that Santa is healthy and eats plenty of good food. Also, when a person goes out in the sun a lot, their white hair gets stained yellow. Santa’s bright white hair tells us that he does not spend a lot of time on the beach. Christmas keeps him much too busy for that! With a park ranger husband I have spent most of my life living in natural places rather than cities. A few years ago we lived in Oregon where, twice a year, an amazing natural phenomenon takes place: the Vaux Swifts stop by during their migration north or south. These small birds are amazing aerial artists. Looking like large swallows, they fly quickly, soaring and diving through the sky while catching insects. 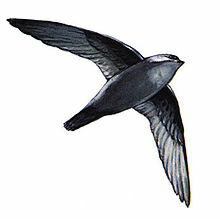 Vaux Swifts are migratory birds. In winter they live as far south as Central America and Venezuela in South America. But in the spring they come to the western United States and Canada to lay eggs and raise their babies. During their migration visits, these little birds are an amazing sight. Unfortunately, their presence in Canada has sharply declined in recent years due to loss of habitat. Old brick chimneys are disappearing and, with them, the place where these birds like to hang out. Vaux Swifts like to spend the night in a chimney where they are safe from predators. In Eugene, Oregon, close to where I lived, is a tall, brick chimney. It is not in use and offers a safe, dark place to spend the night. When I first get there, toward dusk, there isn’t a bird in sight. But after waiting for some twenty minutes I notice many swifts swarming in the sky overhead. Another ten minutes later, the entire sky is dotted with thousands of tiny birds, diving and dancing, grabbing one last bite to eat before bedtime. Suddenly the birds start to soar over the chimney opening as if staking out how to get inside. Then they begin to fly in a circular formation. And suddenly, as if on some invisible clue, the first bird dives into the chimney. The others follow. It looks as if someone has turned on a gigantic vacuum cleaner inside the chimney, sucking up all of the birds. Thousands of birds disappear into the brick chimney. Within another ten minutes, not a bird is left in the sky, which the setting sun has now painted dark orange and purple. Scientists say that the Vaux Swift’s feet are like velcro - they can stick to the brick surface inside the chimney without hanging upside down like bats. The birds also roost in hollow trees. Inside the safe, dark space the birds spend the night. The next morning they will all emerge from their resting place to continue their long trip north or south. In eastern Canada there are several old brick chimneys left, at campuses, highschools and churches, where you can observe these birds. By mid August the birds will be on their way south, a 10,000 KM journey. If you ever get the chance, watch the swifts enter or leave their chimney. It’s an amazing sight. 27 books for children, including Amazing Animals, In My Backyard and Wild Babies, Tundra. Help us celebrate Sci-Why’s first Christmas (or mid-winter celebration of your choice) by playing along in – TA DA! – The Great Sci-Why Holiday Quiz. With prizes!!! The questions are multiple-choice, and all of them are based on previous blog entries. There are nine questions, one for each month in the Sci-Why blog archive. (And if that’s not a giant hint, I’m a monkey’s uncle. Er …auntie.) Of course, if you choose to ignore the giant hint, you can use the index terms on the right side of the screen to search for answers. Put your answer in the Comments section below, or send your answers straight to me, Quizmistress Claire, at claire@claireeamer.com. Just list the question number and the answer letter: for example, 10F. And what about the important bit – the prizes? On New Year’s Day, I’ll get my minion (gotta have a minion!) to draw three names from the massive stacks of correct answers, and each winner will get a signed copy of one of my science books. 1. What do scientists in Sudbury use to capture neutrinos? A: The giant nickel. B: A huge underground dome of heavy water. C: A tiny, little catcher’s mitt. 2. How many lenses does a dragonfly’s compound eye have? A: 30,000 B: 300 C: 1 -- you can’t fool me that easily! 3. What stops earthquakes from getting big enough to wipe out everyone on Earth? A: A law passed by the United Nations. B: Rocks break before underground pressure reaches that point. C: The Royal Canadian Earthquake Police, also called Earthies. 4. Who is Scotty, star of the T. rex Discovery Centre in Eastend, Saskatchewan? A: A science communicator who performs daily shows there. B: A small black terrier that was rescued by the staff and became the Centre’s mascot. C: A fossilized Tyrannosaurus rex. 5. How do fish biologists count salmon in Haida Gwaii? A: They clamber up streams on foot. B: Aerial surveys. C: The salmon sign in on underwater slates at the mouth of each stream. 6. 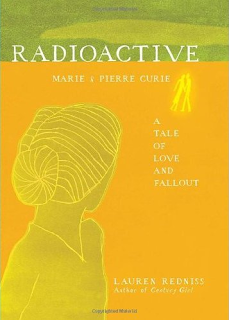 What’s the one-word name of the winner of the 2011 Lane Anderson Award for children’s science books? 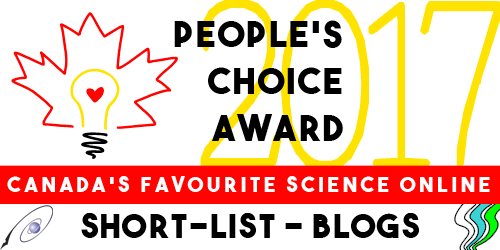 A: Science B: Whoopee! C: Evolution. 7. Australian researchers found a link between watching six hours of television a day and what? A: High scores in trivia contests. B: A shortened life span. C: A powerful urge to buy shiny new trucks. 8. What’s a sun spot? A: A dark spot on the sun (of course!). B: Another word for a freckle. C: A solar-powered light used in outdoor theatre productions. 9. 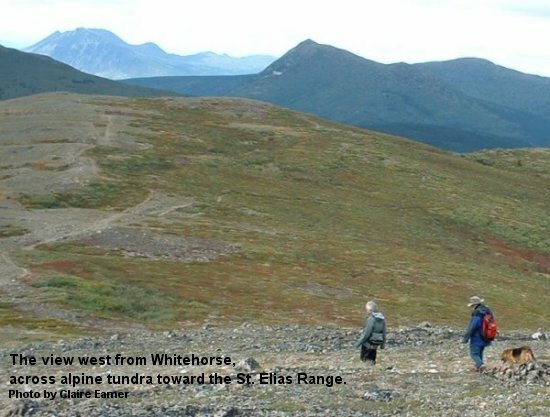 Where did the rocks that make up the Yukon’s St. Elias Range, Canada’s highest mountains, come from? A: The moon. B: A giant meteorite. C: The ocean bed between Scandinavia and Russia. From all the crew at Sci-Why, good wishes and have a happy holiday! As we start preparing the annual Christmas turkey (photo by tuchodi), tens of thousands of volunteers are out in search of other birds - on the annual Audobon Christmas Bird Count. Before the Twentieth Century, many bird and animal species would need to fear the annual hunting parties in search of sport and/or food for the holidays. According to the Audobon website, this annual hunt turned into a bird-counting census on Christmas Day in 1900, when the idea was suggested by ornithologist Frank Chapman. In its first year, the bird count included sites from Ontario to California. Today, Christmas bird counts are held across North and South America from December 14 to January 5. Bird counting usually takes place in groups within a defined area, and in all kinds of weather. The data collected helps scientists and researchers study the health of bird populations over time. That helps identify declining bird populations - and ultimately, declining populations tell us about the health of a given area or ecosystem. It's a way of giving back - and when could that be more appropriate than at Christmastime? Marie Powell is a freelance writer and author of Dragonflies are Amazing (Scholastic). Looking up at the night sky is a pastime that can provide unlimited entertainment for all ages. Consider making the experience even richer by working storytelling into your night sky plans. Ancient Greeks, Romans, and people from other cultures around the world made up tales to explain many night sky phenomena. You can discover their mythology and lore in the Dot to Dot in the Sky series published by Whitecap Books. A blend of sky science and stories, these books introduce the characters associated with the constellations, planets, and Moon. 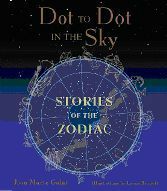 Stories in the Stars and Stories of the Zodiac show how to find constellations by leading readers dot-to-dot in the sky from one constellation to another. Begin with Orion, the Hunter. Note that he stays on the opposite side of the sky from Scorpius, the Scorpion, to protect himself from being stung. Look for the giant “W” in the sky and describe how beautiful Cassiopeia, the Queen, is falling off her throne as punishment for a foolish mistake. Maybe you will see Ophiuchus. He sings so endearingly, animals follow him, plants grow in his direction, and rocks roll his way. Young children can look for different colors of stars, make up their own constellations, or look for pictures on the surface of the Moon. Try to find a princess, two frogs sitting on rocks, or a turtle. In Canada, we talk about seeing the face of the man on the Moon or a rabbit (try tilting your head to the right). Dot to Dot in the Sky, Stories of the Moon explores the stories people from around the world have told when gazing up at the Moon. Older children and adults will enjoy using binoculars to observe Moon craters. The details you can see are quite incredible and may just spark an interest in all things celestial. Remember to pick a night when the Moon is not full so the light through the lens is not too bright. You can identify constellations with the naked eye or use binoculars to view star clusters, galaxies, nebulas, the Moons of Jupiter, and the phases of Venus. It’s important to note that because the planets are so bright, you can see them almost as easily from cities as you can from rural areas. 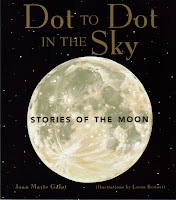 Dot to Dot in the Sky, Stories of the Planets reveals the Greek myths associated with each planet. When you look at Mars, remember the red planet is represented by Ares, the god of war. He loved a good argument but had few friends because of his violent nature. You can also watch the night sky for movement. Look for satellites and meteors—commonly called shooting stars. These bright streaks of light are caused by bits or rock and dust in space, often as small as a grain of rice. A meteor the size of a pebble can make a streak of light brighter than the Full Moon. Light from a large meteor is called a fireball, while a rock from space that actually strikes the Earth is a meteorite. Meteors are best spotted after midnight, facing east. Showers occur at the same time every year. From about December 4-16 and especially from December 13-14, watch for meteors originating from Gemini. Keep in mind that dates will vary slightly each year. There are many fascinating things to see when you look up. Have fun exploring the night sky! 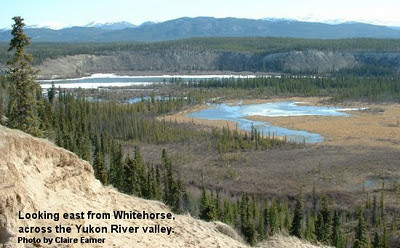 Whitehorse, where I live, is in the middle of the southern Yukon. It lies in a broad valley cut through thousands of years’ worth of glacial till by the mighty Yukon River. To the east, hundred s of kilometres of rocky outcrops, pothole lakes, rivers, and boreal forest stretch all the way to the Mackenzie Mountains. To the west, a half-day’s drive through dry, patchy forest, across rivers and streams, and around the southern end of a huge lake will take you to the Kluane Range, steep mountains weighed down by massive icefields. Still farther west are the peaks of the St. Elias Range, the highest mountains in Canada. Only beyond them might you finally reach the Pacific Ocean. The St. Elias Mountains are a dramatic example of plate tectonics, the combination of forces that sends Earth’s land masses drifting around the globe, combining and recombining in new patterns like a giant kaleidoscope. For a long time, the St. Elias rocks were a puzzle, Nelso n says. Recently, however, clues from an ancient sea bottom hint at a journey almost beyond belief. The clues are fossils, the remains of some odd sea-bottom creatures that once lived in only one small bit of ocean, nowhere near the modern Yukon. Based on that evidence, 430 million years ago the rocks of the St. Elias Range lay beneath the Atlantic Ocean (or its ancestor) between Scandinavia and Russia. What brought them almost half a world away? The lithosphere, the outer layer of the planet we live on, is constantly moving. Bits of it slide over or under other bits or jam up against them, squeezing rocks together like an accordian or pushing bits of seabed into towering mountains. What we now call the Yukon was created and moulded by those processes. “The entire lithosphere of the Yukon is being picked up and pushed on top of the Northwest Territories,” explains Nelson. That’s the kind of pressure that drove a bit of ocean bottom across the top of the world, shoved it against an island arc from the China Sea, and jammed both against the Pacific shores of ancient northern North America with a force that flung up immense mountains.